Pop pot quiz: When you go into a dispensary and see jars of flower, you probably look for three things—the strain name; whether it’s a sativa, indica, or hybrid; and the THC content. What should you be adding to that list, and perhaps make it the most important thing? If you guessed “saltines,” no, and why would you even guess that? So, terpenes are the organic plant compounds that are responsible for a plant’s taste and smell. There are at least 100 terpenes that have been identified in cannabis plants, and they work with the receptors in your body to modify the impact of the cannabis consumed, whether it is via flower, concentrate, or vape. 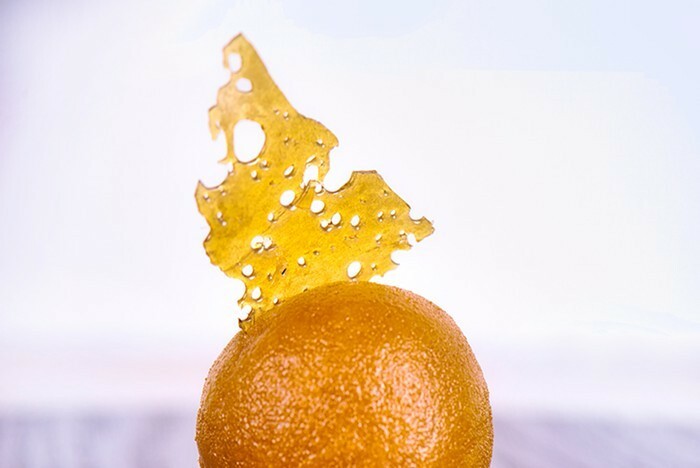 Coming in at zero percent terpenes was “The Clear,” which High Times explains is a trade name for the short-path distillation process wherein cannabinoids are isolated and extracted, giving a producer the option to add in terpenes afterwards, taken from cannabis or other botanical sources. Those “other botanical sources” are mostly plants and fruits, so your favorite Orange Crush vape cartridge may have terpenes added that come from non-cannabis products. Amazon carries bottles of both individual terpenes and blended offerings that mimic specific strains. The benefits and effects of the most common terpenes found in cannabis exceed the space of this column. The following list of common terpenes is greatly simplified, so if you’re interested, further exploration should be undertaken. Like most everything involving cannabis, our knowledge has been severely limited by prohibitionist bans and barriers involving cannabis research. Limonene is not the French edition of Beyoncé’s classic, but a very citrusy terpene. It’s believed to help other terpenes be more readily absorbed and to assist in relieving effects of certain gastrointestinal issues, such as ulcers. Linalool gives lavender its unique scent. It’s great for combating stress, and has many “antis”: depressant, tumor, bacterial, and convulsant. It also shows promise in pain relief. Pinene is why some weed smells like the forest—it’s responsible for the smell of pine trees, and it’s believed to improve memory and focus. Studies have shown promise in using it as a tool against viral and microbial infections. Many farms and producers have begun having their flower and products tested for terpenes, and listing the results with the same pride as their THC and CBD numbers. If you too are interested, keep a product journal with your weed’s terpene test results so you can compare outcomes with other products. Seek out sun-grown cannabis, which often has high terpene profiles. Take charge of your experience by taking the extra step to understand what works best for you—and trust your nose.